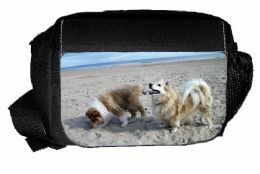 Personalised photo bum bags for the dog walker, runner, hiker etc.. are a great way of showing of those special photos that mean so much to you, or personalise it with a design of your own. The front of the bumbag can be personalised any way you wish at no extra costs, maybe its a photo of the children, a loved pet or a special moment from a holiday or even create a design of your own to personalised your photo bag with. 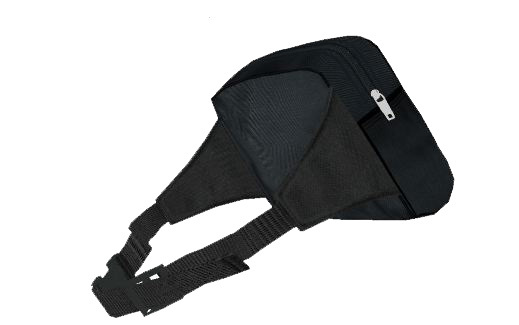 Our generously sized canvas cotton bumbag has room for all your essentails when out doors with front and top zipped compartments and extra compartments inside and also a net side pocket for water..phone etc..The overall size is 190 x 140 x 110mm with the personalised front panel being 175 x 100mm. Complete with adjustable belt and a sturdy lock fastener. Personalised and shipped within 2-3 days. Received my personalised bumbag this morning and i am over the moon with it, the photo looks so much better than i thought it would and to get it within 2 days was brilliant...Thanks for your great service and will shop with you again..